Former Iowa Governor Tom Vilsack will be named as president-elect Obama's choice for Secretary of Agriculture on Wednesday, sources said. DES MOINES, Iowa — President-elect Barack Obama has selected former Iowa Gov. Tom Vilsack to become his agriculture secretary, according to Democratic officials familiar with the selection process. Obama will announce the nomination of Vilsack on Wednesday, the officials said. They spoke on condition of anonymity because they were not authorized to discuss the selection before the announcement. Obama also plans to announce his nomination of Colorado Sen. Ken Salazar as interior secretary at the same news conference, other Democratic officials said. Vilsack will be the fourth former opponent of Obama in the campaign for the 2008 Democratic presidential nomination to join his new administration. Others include Vice President-elect Joe Biden, Sen. Hillary Rodham Clinton, who has been tapped for secretary of state, and New Mexico Gov. Bill Richardson, selected to head the Commerce Department. 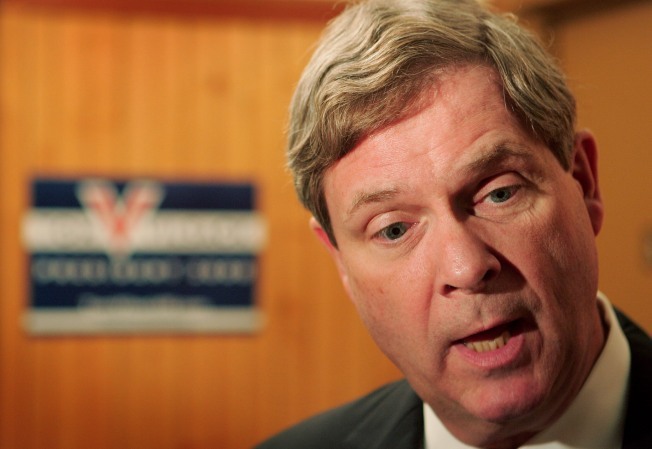 Vilsack announced his presidential candidacy in late 2006, positioning himself as a Washington outsider with heartland appeal, but he dropped out before the primaries because of an inability to raise money. He endorsed Clinton and campaigned actively for her in the long primary campaign against Obama. After Obama defeated Clinton, Vilsack endorsed him. First elected governor in 1998, Vilsack, 58, carved out a reputation as a political centrist. He balanced Iowa's budget and resisted raising taxes, but he was willing to spend money on such priorities as education and health. He argued that pushing alternative energy sources was key to bolstering rural sections of the nation that are struggling economically and with vanishing populations. Salazar will head a department that oversees oil and gas drilling on public lands and manages the nation's parks and wildlife refuges. Salazar is expected to try to balance the protection of natural resources while tapping the nation's energy potential — an approach Obama has said he wants. Salazar co-sponsored a bill in Congress to create a new land conservation system under the Interior Department's Bureau of Land Management for permanently protecting 26 million acres of national monuments, wilderness areas and wild and scenic rivers. The legislation died during the lame-duck session of Congress after the November election. 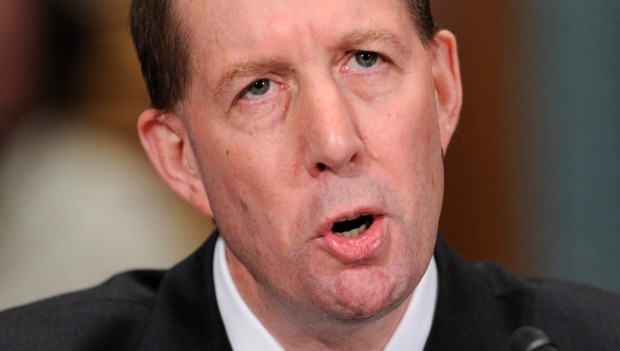 The Colorado senator opposed drilling in the Arctic National Wildlife Refuge and objected to the Bush administration's efforts to lease Western lands for oil shale development. It will be up to the Obama administration whether to go ahead with leasing. If Salazar is confirmed as interior secretary, Colorado Gov. Bill Ritter, a Democrat, will select a replacement to fill the last two years of his Senate term. Before being elected to the Senate in 2004, Salazar was Colorado's attorney general. He also headed Colorado's Natural Resources Department from 1990 through 1994.